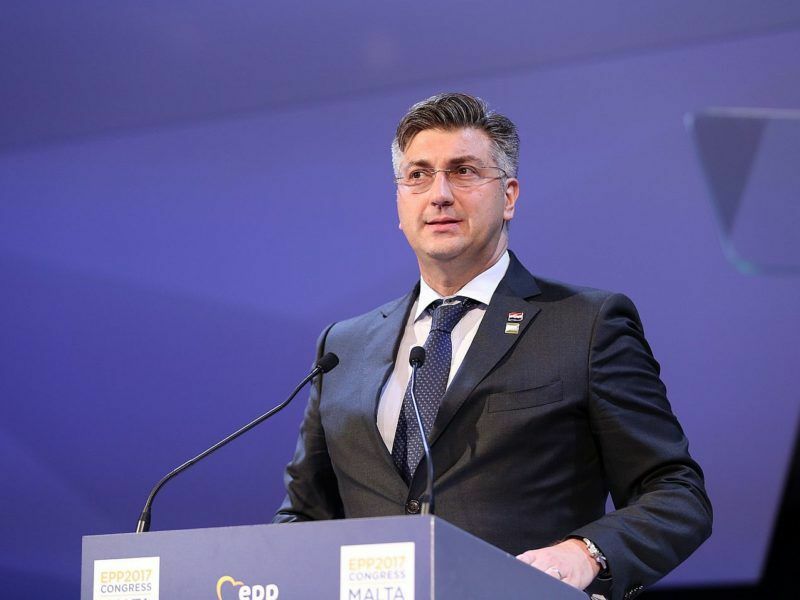 As the EU presents its renewed Western Balkans strategy on Tuesday (6 February), Croatian Prime Minister Andrej Plenković was urged by the European Parliament and the Commission to find a solution to the long-standing border dispute with Slovenia. 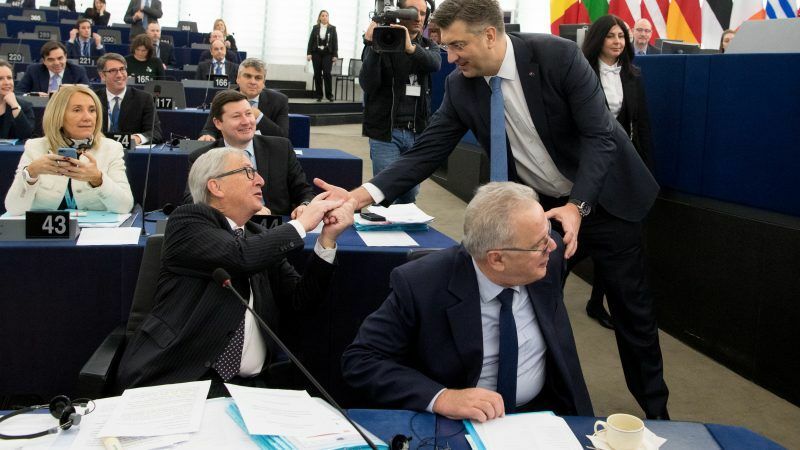 “Border disputes must be resolved,” said Commission President Jean-Claude Juncker during a debate on the future of Europe with Plenković in the Parliament. “There can’t be any enlargement without border disputes being resolved. These problems must be resolved or there won’t be any accession,” Juncker emphasised. Croatia, which joined the bloc in 2013, only after agreeing to the arbitration with Slovenia, claims the legal proceedings had been compromised and were therefore null and void. The dispute boils down to a 26-year-old territorial dispute involving roughly 12 square km of maritime territory in Piran Bay in the northern Adriatic Sea. Also disputed is a 670 km stretch of land along the Slovenian-Croatian border that forms the southern frontier of Europe’s Schengen area. “This issue is not as dramatic as it’s sometimes presented. It is an overblown topic both politically and mediatically,” rebutted Plenković. “We are open for dialogue,” he added, stressing however that “we should refrain from unilateral action”. 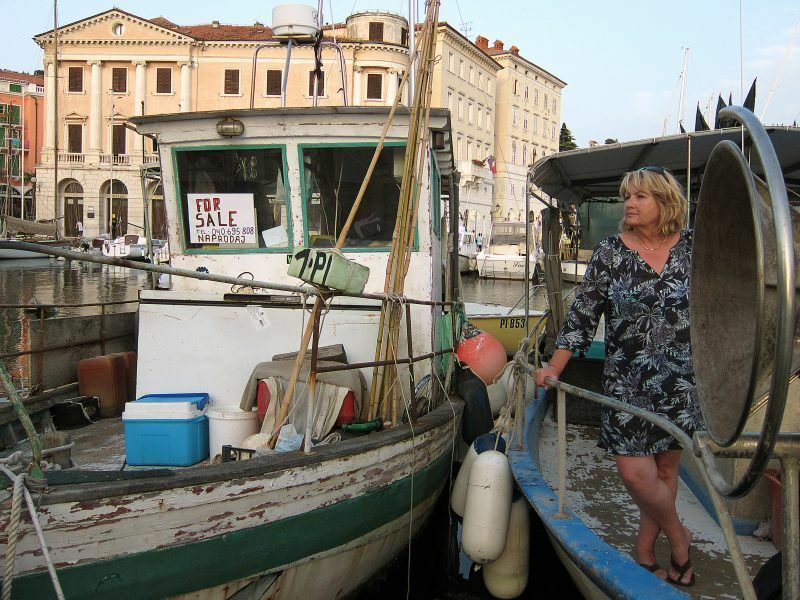 For decades, fishermen made a trouble-free living fishing in Piran Bay. But the current crop now faces a flurry of Croatian and Slovenian patrol boats as the two countries continue to fight over the water. Bosnia Herzegovina, Macedonia, Montenegro, Serbia, Kosovo and Albania all share aspirations to EU membership. The prospect of accession, and the discipline that the process imposes, remain the best carrot the union can dangle. But, in the past, the EU has allowed itself to import unresolved conflicts. Borders were not to be a matter of dispute inside the union. But as the union integrated economically and politically, they would all but disappear. Instead, they have come to the fore in recent months. Greece refuses to allow Macedonia, its northern neighbour, into either the EU or NATO because it believes its name reflects ambitions to take over the Greek territory. Greece has a northern province of the same name. 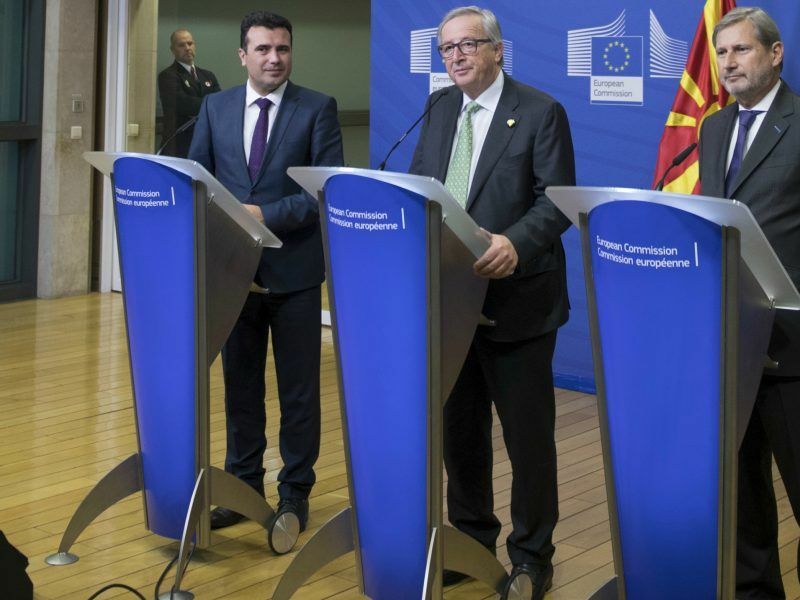 The European Commission made it clear on Monday (5 February) that it will not try to influence the UN-led talks to find a solution to the eternal name dispute between Greece and Macedonia, even though Jean-Claude Juncker is due to visit Skopje by the end of the month. Cyprus’ new government has now pledged fresh talks with Turkish Cypriot leader Mustafa Akıncı despite the acrimonious collapse last July of UN-backed negotiations that came closer than ever to sealing a deal. 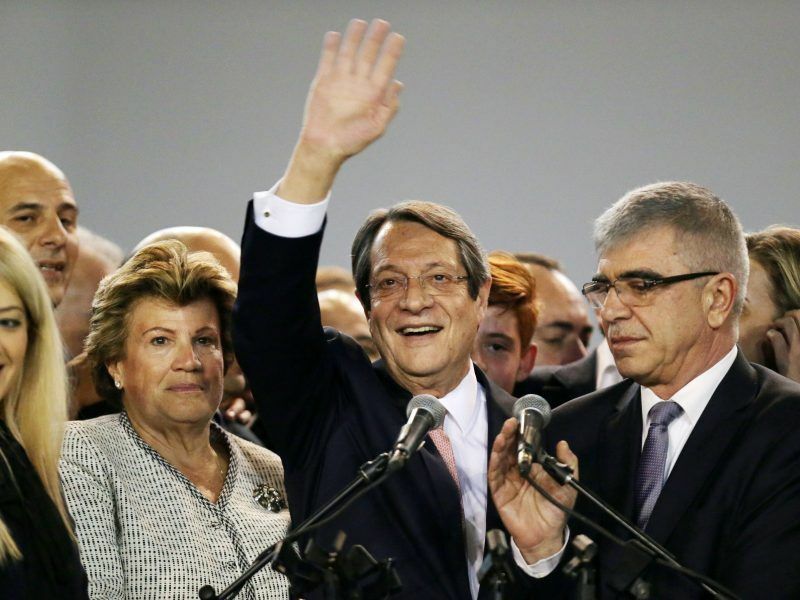 Cypriot President Nicos Anastasiades on Sunday (4 February) won re-election for a second term, seeing off a leftist challenger with vows to restart talks to unify the island and cement an economic recovery. Serbia refuses to recognise Kosovo and Brussels now demands to see a legally binding document regulating relations between Belgrade and Pristina before Serbia joins the EU. 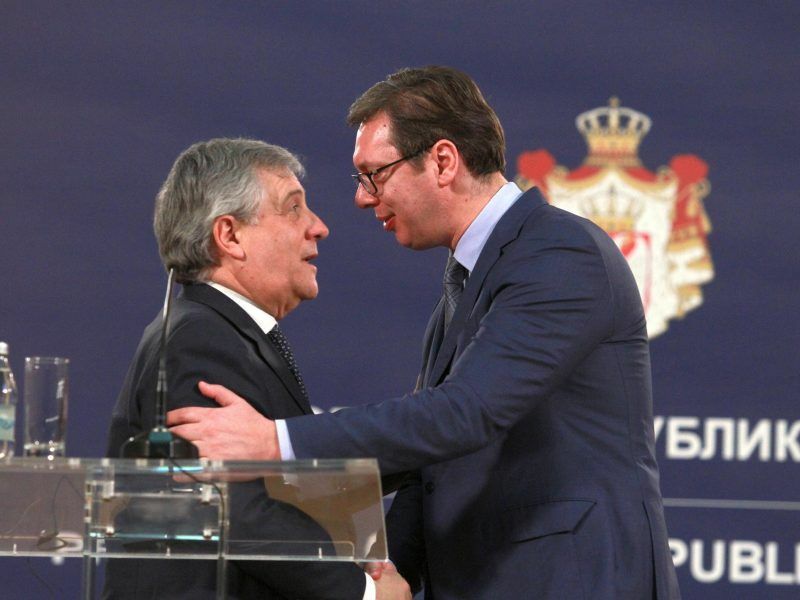 Brussels expects to see a legally binding document regulating relations between Belgrade and Pristina before Serbia joins the EU and insists on Belgrade’s continued dialogue with Kosovo, European Parliament President Antonio Tajani said in the Serbian capital this week. The EU has no intention of importing the legacy of Europe’s 19th- and 20th-century wars. Speaking in Parliament, Plenković underscored the positive role that Croatia has played in the region. “We have been a bridge and Croatia has no intention either to stall negotiations or block the path of our neighbours to accession,” he reassured MEPs. “This is a country of specific internal set up with three constituent peoples – Croats, Bosniaks and Serbs – in which their full equality, together with others, should be the foundation for the future,” he said. “Only embedded in European values can Bosnia and Herzegovina guarantee its citizens a secure and stable future,” he continued. An unwieldy ruling system set up under the 1995 Dayton peace accord, as well as ethnic bickering among local politicians, has made decision-making and reforms in Bosnia very slow.